If there’s any doubt that Democratic control of the House could complicate matters for President Donald Trump, just ask Bill Clinton. In 1997, House Republicans under Newt Gingrich spent some $7 million on a campaign finance investigation involving the Democratic president that resulted in almost 1,300 subpoenas and the release of 1.5 million pages of documents. Trump was the first major party candidate in four decades to refuse to disclose his tax returns, which could disclose any potential conflicts of interest. Trump once again said in a press conference Wednesday that he's willing to release the records, but only after he said his taxes are no longer under an audit. Come January, Democrats will take control of the House Ways and Means Committee, which gives them the authority to compel the Internal Revenue Service to produce the tax return of any U.S. citizen – including the president. Rep. Bill Pascrell, a New Jersey Democrat, told ABC News shortly before the election that the committee would launch a review of Trump's tax filings if and when Democrats take the reins: "We are allowed to investigate this. Nothing should step in our way." Earlier this year, a government watchdog raised questions about Trump's involvement in real estate discussions about the FBI headquarters in downtown Washington. The decision could affect potential commercial development that would directly compete with the Trump Hotel across the street. The White House maintains the president wasn't interested in trying to influence the decision. American Oversight, a liberal watchdog group, has filed a lawsuit seeking more information on the FBI headquarters project and another lawsuit digging into allegations of improper influence of members of Trump's Mar-a-Lago Florida resort at the Veterans Affairs Department. The group says it will file an additional lawsuit related to Trump's brother-in-law, Jared Kushner and his business interests. For 18 months, special counsel Robert Mueller has been looking into Russia's alleged interference in the 2016 election, whether Trump campaign officials or associates might have cooperated with such efforts, and even possibly whether Trump himself obstructed justice in the probe. Still, Democrats say they have their own questions, including why Attorney General Jeff Sessions resigned Wednesday at the president's request. "It is impossible to read Attorney General Sessions’ firing as anything other than another blatant attempt by @realDonaldTrump to undermine & end Special Counsel Mueller’s investigation," tweeted House Democratic Leader Nancy Pelosi. 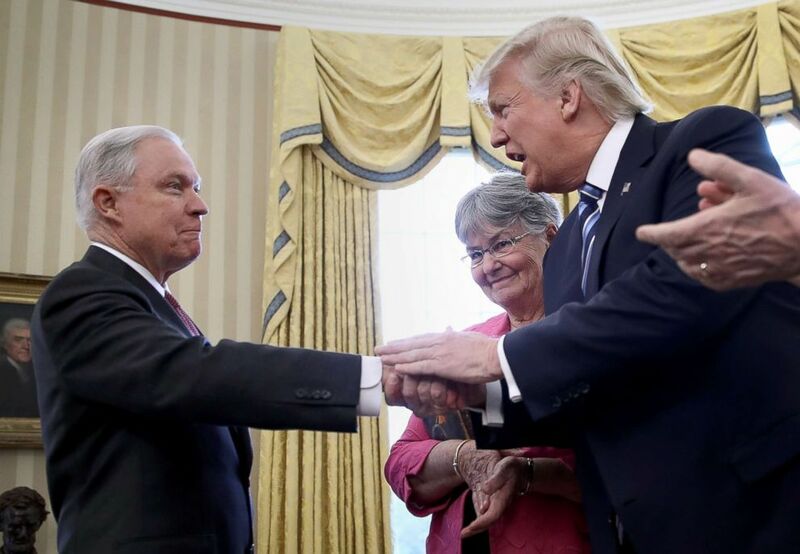 President Donald Trump shakes the hand of Jeff Sessions after he was sworn in as the new U.S. Attorney General in the Oval Office of the White House, Feb. 9, 2017. Other questions include whether Russian oligarchs used Trump properties to launder money - an allegation Trump aides strongly deny. Democrats say they intend to seek testimony from more than 30 witnesses –- including Trump family members and confidants. Trump has denied any collusion with Russia and has called the Mueller investigation a political "witch hunt." Environmental science can make a voter's head spin. But House Democrats focused on the issue could also spent the next two years using their subpoena power and committee gavels to dig into the matter, namely: Is the federal government doing enough to protect the air Americans breathe or the water they drink? Another possible line of inquiry is the overall handling of the Interior Department, which oversees the nation's federal land. Rep. Paul Grijalva, the top Democrat on the House committee with oversight of Interior, has already called for multiple investigations into allegations that Interior Secretary Ryan Zinke violated ethics policies and has said he wants Zinke to testify. An internal watchdog has referred an unspecified investigation involving Zinke to the Justice Department. Zinke has denied any wrongdoing. Health care is a big one for Democrats because it consistently ranks high among voters' concerns and some Democratic-led initiatives have proven popular with time. On Election Day, for example, three heavily Republican states - Idaho, Nebraska and Utah - each voted in favor of expanding Medicaid under the Obama-era health care law. Trump, who campaigned against "Obamacare," now says he backs many of the more popular provisions, including efforts to protect people with pre-existing conditions. He also has made lowering the cost of prescription drugs and addressing the opioid crisis a priority. But Democrats point to court filings by the Trump administration asking a judge to invalidate the health care law's protections for people with pre-existing conditions. The Trump administration also has relaxed regulations that could open the door to insurance plans that don't cover pre-existing conditions or recovery treatment for drug addiction. It’s likely that House Democrats will use their newfound power to investigate climbing drug prices and whether executive actions are undermining protections for people with pre-existing conditions. Trump has made border security a major push in his administration, and his inflammatory rhetoric seems to have galvanized his base in the recent election. But Democrats say the president still needs to find a permanent solution for "Dreamers," teens and young adults who were brought to the United States as children and are in the country illegally. Trump announced the end of an Obama-era program that granted these young immigrants temporary legal status, but that decision is in legal limbo after numerous lawsuits. It's possible that House Democrats will try again to tie additional border security money to protections for Dreamers. 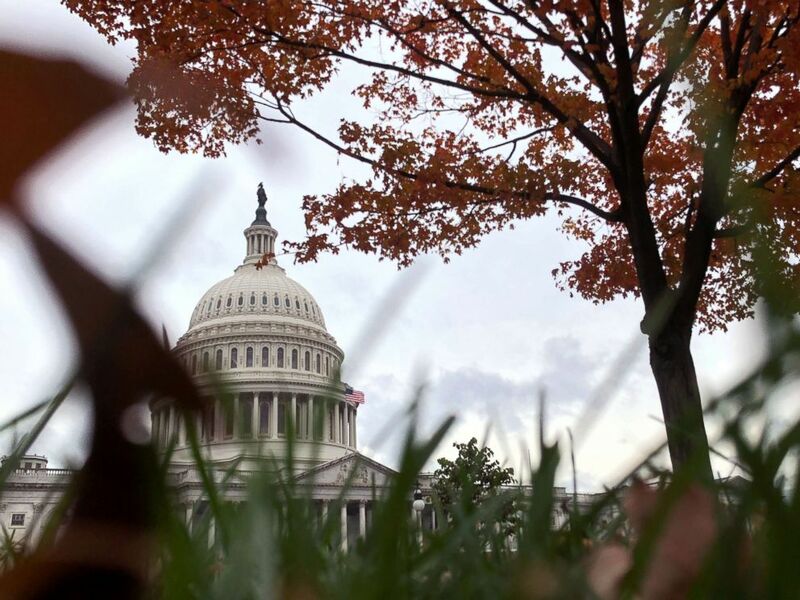 Autumn foliage at the U.S. Capitol in Washington, Nov. 2, 2018. It's common for presidents to shake up personnel following an election. But for those Cabinet secretaries who might stick around, it's likely the House will call on several cabinet-level officials to testify on any number of issues. In addition to Zinke, Democrats are interested in hearing from Education Secretary Betsy DeVos in her oversight of for-profit schools, as well as her department's upcoming guidelines for schools to address sexual assault allegations. At the Commerce Department, questions remain about who exactly led an effort to change the U.S. census to include a question about citizenship, which Democrats allege are tied to Trump's anti-immigration agenda. Trump though is warning against any aggressive tactics. And so is Senate Majority Leader Mitch McConnell, citing his own experience in the 1990s with Clinton.